No surprises for guessing the leading trainer and leading jockey at the Festival in 2016; Willie Mullins and Ruby Walsh once again carried all before them, as they’d done for the last three years running, with seven winners apiece during the four days. Mullins’ haul also helped Irish trainers to a final tally of 14 winners, equalling the record achieved three years earlier. The Stan James Champion Hurdle went the way of Annie Power, but Sprinter Sacre took the Queen Mother Champion Chase, Ballyandy the Weatherbys Champion Bumper and Thistlecrack the Ryanair World Hurdle for the home team before Don Cossack headed a 1-2-3 for Irish-trained horses in the Timico Cheltenham Gold Cup. The 9-year-old, who’d won his last six completed starts since finishing third in the Ryanair Chase the previous year, was pushed out to beat the Mullins-trained pair Djakadam and Don Poli by 4½ lengths and 10 lengths. These Cheltenham free bets are selected bets that are recommended for new and existing punters. 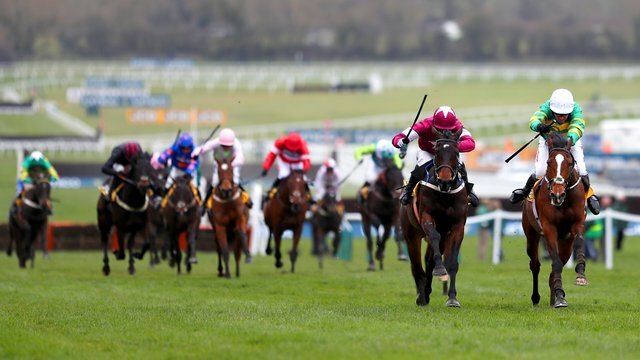 Get all the latest tips and news for the upcoming Cheltenham horse racing event.